A stunning Highland day tour following the ancient fault line that cuts through the Scottish Highlands - the Great Glen - from Inverness to Fort William, visiting Glenfinnan ‘Harry Potter’ Viaduct and Inverlochy Castle on the way. Castles, clans, rebellions and ‘Bonnie’ Princes provide a brilliant history of the Scottish Highlands while the stunning Great Glen and Glenfinnan's ‘Harry Potter’ Viaduct provide the breath-taking scenery. The Highland Glens tour begins at Inverness where we follow the ancient geological fault line that cuts through the Highlands - the Great Glen - along the banks of Loch Ness down past Urquhart Castle. After a short stop for photos near Loch Ness, we continue along Ness-side to Invermoriston and then Fort Augustus where we take take time to admire the Caledonian Canal and explore the village. 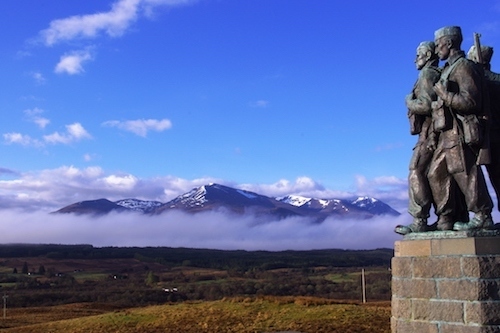 Leaving Fort Augustus we travel to Spean Bridge where its Commando Memorial has a magnificent views of the peaks of Ben Nevis and Aonach Mor. After a lunch stop at Fort William we journey along the 'Road to the Isles' - a stunning drive through some of the Highlands most beautiful scenery. 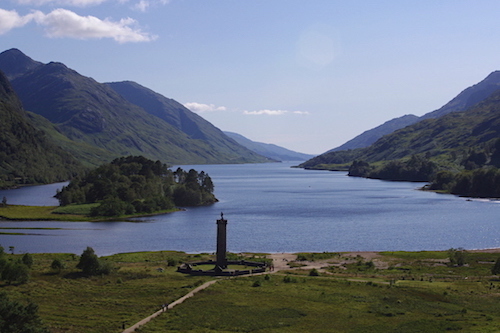 On the way we explore the Jacobite story and ‘Bonnie Prince Charlie’ with a visit to the Glenfinnan Jacobite Monument situated at the mouth of Glen Shiel - one of the most impressive viewpoints in the Highlands. Here you can visit the monument and exhibition and if you don’t mind a short hike up a small hill track I can promise you a great view of the Glenfinnan Viaduct - now made even more famous by ‘Harry Potter’ films. Depending on the time of day we might even catch the Jacobite steam train crossing the viaduct. 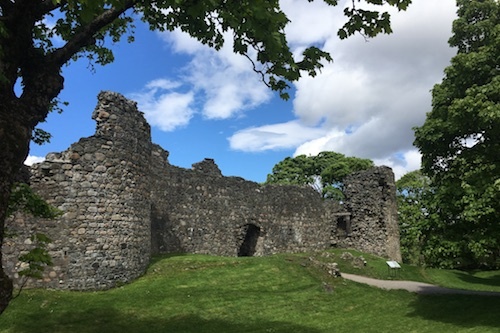 Our return journey takes up back up the Great Glen towards Inverness, but not before we explore the ruins of the historic ruins of Inverlochy Castle, a wonderful hidden gem of a castle that’s nearly 800 years old. We have an earlier start at 8am and journey straight from Inverness to Glenfinnan (with restrooms stops) to arrive in time to catch the Jacobite Steam Train crossing the viaduct around 10.45am. After time around Glenfinnan we take a more leisurely journey back to Inverness enjoying scenic stops at Inverlochy Castle, Fort Augustus and Loch Ness along the Great Glen. Available - Monday to Friday from 22nd April to 25th October and Weekends from 4th May to 29th September 2019.